Those who follow my blog will know that I am a strong advocate and believer of “Know Yourself” first before knowing what you really want in life. In fact, my nickname Rolf Suey is actually derived from “Yourself” when the letters are re-arranged. Understanding yourself is very important in your life to achieve personal, interpersonal and professional fulfillment. Many of us will like to think that we know ourselves very well, because we know what food we like to eat, what clothes we like to wear, what songs we like to listen etc. It definitely goes beyond that! The understanding of your own personality is greatly important to identify your strengths/likes and even more importantly your weaknesses/dislikes. It is also about knowing the PURPOSE of life with the right values, beliefs, priorities and dreams. Above all, to know our body (health) and it’s limits as well. It is only after you truly know yourself, when you can be truly yourself (most of the times!). This is when you can define your own purpose and success in life, to attain true happiness. For instance, do you frequently go on to be someone else just to impress? Consider in work, you will try so hard to pacify your boss or certain colleagues just to be politically correct and without your own opinion? Or in a relationship, you will try everything you could just to please your next half and totally forget who you are and what exactly you want? If the above-mentioned are true, then you have not found your true self. And you will not be truly happy, even though you think you are! That said, I am not saying that you need to be extremely direct and start offending everyone around you, just to be yourself. To be truly ourselves in an intelligent and tactful manner requires both IQ and EQ, which are few prerequisites to be successful and yet happy. And of course there are certain circumstances that you must be smart enough not to be "too yourself!". There are many ways to know ourselves better. 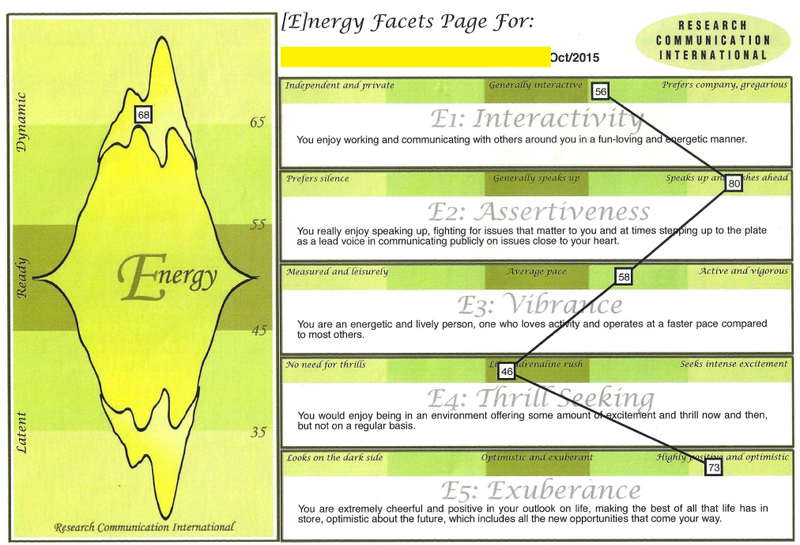 One easy way is by doing a personality assessment test. Just last month, I attended a ½ day psychology profiling workshop organized by my company together with my colleagues. The workshop leader is a psychologist - Dr B. 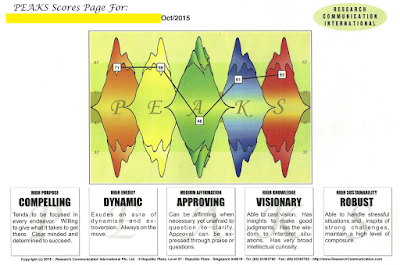 The psychometric technology used is called: PEAKS (Purpose . Energy . Affirmation . Knowledge . Sustainability). 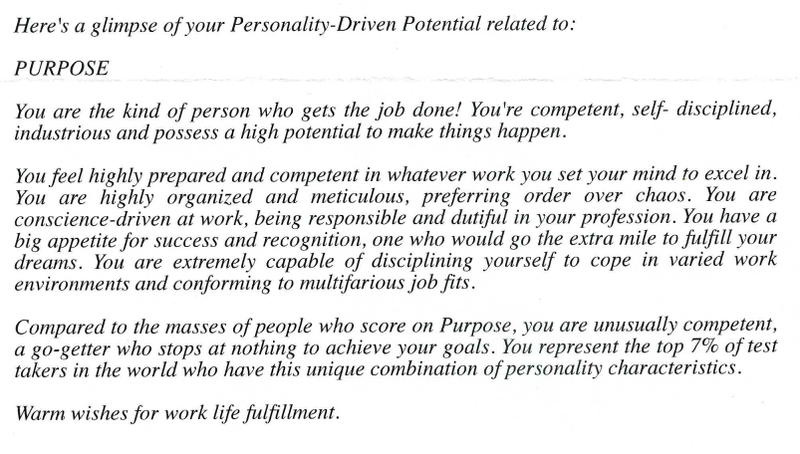 Purpose is a personality factor that describes a person’s focus and goal orientation. 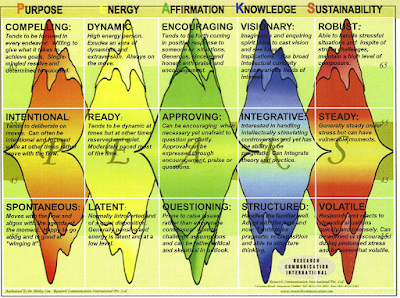 Energy is the factor that defines how people relate to others. It affects how people form, manage and maintain human relationships. Affirmation is a personality dimension associated with human relationships that measures how an individual demonstrates positive declarations of praise, encouragement and support to others. Knowledge expresses a person’s penchant to process ideas, create strategies and innovate. Sustainability is a measure of an individual’s propensity to handle stressful situations. 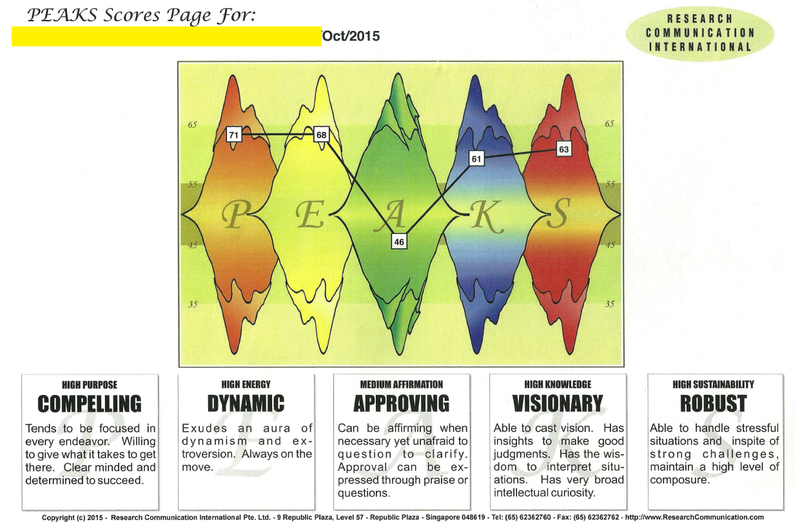 PEAKS is locally developed by Research Communication International (RCI) founded by Dr Shirley Lim to measure and optimize human potential. Refer here to understand more. Prior to the workshop, you will have to spend 45 minutes of time without distractions to answer 270 statements. There will be five selections to each statement – Strongly Disagree, Disagree, Neutral (or when you cannot decide), Agree and Strongly Agree. 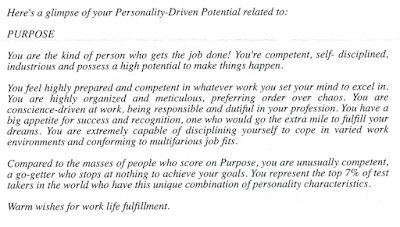 Due to the number of questions and time constraint, we were told by the Dr B that this is essentially a very accurate and validated way of predicting our natural disposition if you are truthful in answering. Even if you answer inaccurately on few questions, it does not matter, because many of the 270 statements are actually repeated but phrased in a different manner, such that most of your answers will still capture your general trait. Note also that the test is by no means trying to appraise an individual to be more successful or more superior to another. The test is more a strength-approach profiling helping us to understand ourselves better. Bear in mind that for every characteristic “score” there is always a flipside story. There is a beauty and strength in every nature! During the workshop, we also asked if different stages or experiences in life affect our personality. Personality is one’s characteristic way of feeling, behaving and thinking. We were told by Dr B that, in essence, our personality and behavior should not change very much due to environment and experiences. For e.g. if our score is from 1 to 100, the score change should be within a range of +/- 5. The only time the score should deviates significantly, is when one go through a life-changing experiences. For e.g. Dr. B mentioned that one of the participants use to have high scores for “Energy”. Few years later when she did the test again, her score deviated significantly. And later Dr. B found out that the demise of the participant’s mother contributed to the extreme deviations in her natural disposition. Basically the five factors of PEAKS is sufficient to distinguish our personality. Within each factor, it is can be further divided into 3 segments depending on your scores. Refer below picture. E.g. for Energy, you can have “Dynamic” and “Latent” at two ends. In the middle you will have “Ready”, which means the person is generally more neutral and has the flexibility to be dynamic or latent. . Please note copyright – RCI. 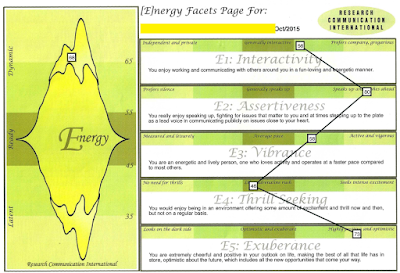 Then within each Factor, it is sub-divided into 5 different elements to measure our personality. For each element, there will be scores in 5 different ranges; 0-35; 35-45; 45-55; 55-65; 65-100 which correspond to a particular trait. Refer below for an example of my own score in “Energy”. Is Work Life Balance Only For the Financially Freed? Ps: The psychological test is meant to be positive. The flipside of purpose as I seen for myself is sometimes "too tight, cannot relax, and can offend many pple not on purpose but wo knowing (hence I take on meditation)!" The flip side sounds like me too. except you are more hot tempted i guess. haha. Haha... Used to be boiling. Nowadays more warm!